All classic car enthusiasts know that the old car movement is one of the finest social pastimes imaginable – with a few exceptions. So, for the benefit of all automotive enthusiasts everywhere your friendly Strand Cigarette Man – you’re never alone with him – has produced this handy guide to certain individuals, none of whom bear any resemblance whatsoever to any car collector. Of course not. The terrible news is now public knowledge – there has been a major argument at the last AGM of the Ford Granada 2.3 GL Mk2 Automatic Estate Club and so Arnold, that organisation’s erstwhile Secretary, is now the President/Chairman & Founder Member of the Ford Granada 2.3 GL Mk2 Automatic Estate Car Club in Green (Isle of Wight Division). Of course Arnold is quite understandably a very angry man, much given to the writing of strongly worded letters to the classic car press: Why does his choice of car never seem to be tested in any magazine? Why do certain well known classic motoring writers either run and hide or pretend to be able to speak only in Sanskrit whenever he approaches them at the NEC? And, most importantly, why do Arnold’s daily press releases on the wild and exciting world of the Ford Granada 2.3 GL Mk2 Automatic Estate Car (in green), hot from his own office (AKA a garden shed somewhere in Ventnor) never seem to be treated with the respect that they truly deserve? 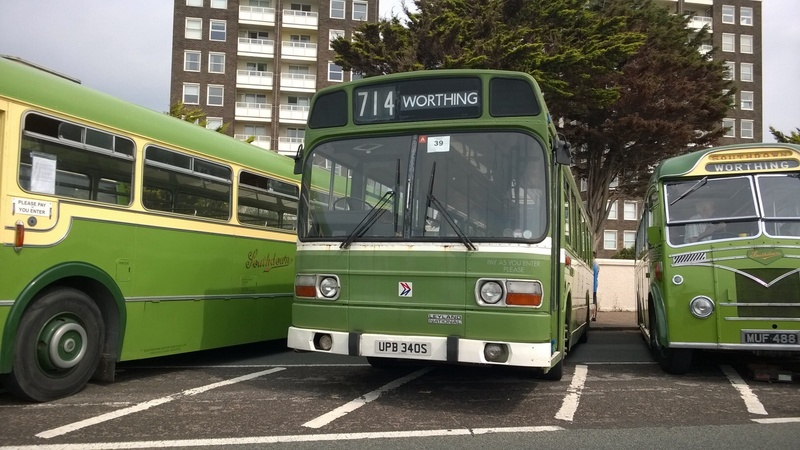 Maybe Arnold’s latest organisation, ‘The Peoples’ Granada Front of Ventnor (Mk2 2.3 GL Estate-Car Automatic in Green Division)’ will finally gain his movement the international attention befitting such a club. Potential visitors to Arnold’s home are often put off by the rumours concerning a burning wicker effigy of an Mk1 Granada Ghia coupe blazing merrily in his back garden but Arnold is always pleased to receive company; tea, biscuits and a look through his film collection are always on offer to all guests. The latter should be regarded with some trepidation as Arnold ’s film collection solely consists of various big and small screen moments of his favourite car edited together into three glorious hours; from a drive-on in a 1978 edition of Southern TV’s The Famous Five to a low-budget chase in an early episode of Minder – Arnold has them all. Then, providing his guests have regained the will to live, there are the photo albums, one of which consists of pictures of the Granada’s rear offside tail lamps in different states of disrepair. Meanwhile, the sheer weight of Arnold’s brochure collection has caused the ceiling to ominously bow in several places whilst the great man himself holds forth on his favourite subject- just how an international cartel of evil, comprising of the editors of several well-known classic car magazines, Captain Black of the Mysterons and Mr. Meeker from Rentaghost have conspired to deny Arnold and his followers their true moment of glory. To the classic car enthusiast, summertime means the show season where rare cars may be discovered and vital technical tips swapped but to Hilary, our classic car widow, BST usually infers a damp field where she is subjected to the following conversations – “Blah, blah, column shift, blah, blah, McPherson Struts, blah, blah, blah, 3.3 litre, blah, blah, blah badge-engineering, blah, blah, blah”. After approximately five minutes the children will inevitably be bored and start to demand hamburgers (at a price of £2.50 per unit with the bonus of free added botulism) ice-creams (powdered milk, air and glucose at £1.50 per go) or visits to the nearby funfair which seems to be entirely staffed by characters from The League of Gentlemen. This year Derek has finally achieved his long awaited goal – he has managed to put off more would-be classic car owners from buying a historic vehicle than ever before and, better still, this magnificent target was reached without Derek uttering a single word. Indeed, Derek prefers to communicate via grunts and surly looks and you’ll find him at most old car shows sat on a deckchair, reading The Daily Express and dreaming of his glorious twenty year career as an Acting Lance Corporal i/c Office Sanitation in the TA. The only problem is that punters will keep coming up and asking him futile questions about his car, its restoration etc. Fortunately Derek has an infallible method for such nuisances – he merely stares at them. At this stage in the proceedings most fringe adherents to the classic car world will merely give up and start considering a two-year old Ford Mondeo but a few more hardy souls will persist and might eventually be rewarded with a taciturn response of the Steve McQueen/About-to-be-sacked-security guard school of communication. However, the net result is almost always the same – virtually all visitors to the club stand will start thinking of mandatory scrapping of all cars aged over three months and of the joys of new Hyundai ownership as they edge away. If ever a film were to be made of Derek’s life it would star Stephen ‘Blakey from On The Buses’ Lewis in the title role and be scripted by Harold Pinter. No-one quite knows just how Derek came to join the club and there are certain rumours flying round that he was actually created in a failed Frankenstein-like experiment at Longbridge during the Second World War. He seems to have been a club fixture for aeons, the sort of member who can brighten a room merely by leaving it and an utter wow in his official capacity. Ever since Derek was elected ‘Communications Officer’ there has been a 75% decline in membership and the next AGM will probably be held in a telephone box. Meanwhile, the club stands at major shows have been notable for their resemblance to a run-down municipal car park. It’s not so much the banger racing that put most people off of Kelvin – although he does make slightly too many impassioned references to the A60 wrecking scene in The Long Good Friday for comfort – but his utterly determined attempts to become a ‘character’. In between bouts of fervent Humber Super Snipe smashing, Kelvin has managed to cultivate an accent that can only be described as “Cornish Cockney”, and acquired a standard routine of ten jokes that even the late Bernard Manning might have conceivably rejected. At his club AGM Kelvin has recently developed the habit of playing a guitar at people who have done him no harm. Worse of all, Kelvin likes to think of himself as existing on the fringes of the ‘criminal fraternity’ and likes to wander around in shades (this might account for the majority of his non-banger circuit crashes), a leather jacket and some ‘gold jewellery’ which is slowing turning his skin an interesting shade of green. Kelvin also has an almost complete library of ghost-written memoirs of retired bank robbers, minor criminal gang leaders, football hooligans and the like. At moments of stress Kelvin likes to retire with his copy of I Was The Fifth Kray Twin, to relive those glorious days of heads being nailed to Ford Zodiacs and Maltese ice cream parlours being set on fire. Still, at least gangsters behaved like gentlemen in those days and were always good to their mum. This last point is of direct relevance to Kelvin as he still lives at home. You will recognise Kelvin at most classic car gatherings – indeed you would be hard pressed to avoid him – but one infallible way to cease his relentless stream of patter is to make a logical argument against certain forms of banger racing. Then, and quite possibly only then, will Kelvin’s Achilles’ heel become obvious – he has absolutely no sense of humour. He’s been to Peterborough I see….. I met the Angry Enthusiast at Uppingham only a couple of weeks back. Strand Man wasn’t there was he? Note the Acclaim story is now offline. Club egos, again. I’ve seen a few of these stereotypes in car club meetings: Granada club (apart from those ‘Sierra mk3s’) and Citroen Club (apart from ZXs or anything ‘without spheres/not 2cv based’) and the Alfa Romeo club (apart from anything post-Fiat). I like travelling by train. I don’t collect numbers, I don’t know my CoCo from cocoa and don’t have any nostalgia for steam. But I do go on a few “specials” and people are “interesting” to say the least. How about re-enacting World War 2 twice a journey from Minehead to Birmingham? how about having line diagrams and ticking off every set of points you your travel over? Me, I just look out the window. One really interesting area that needs to be brought out are “themed” weekends, e.g Railways At War. Everyone dresses up, mostly in military uniform (eveyone’s an officer, except Private Pike!). But you get car people there too and they dress up. As do people who own tanks and armoured cars. Looking forward to more missives like these. And Clarkson’s right -they all have adenoid problems! I got all of that! I remember going to a kit car show at Stoneleigh a couple of years ago and seeing two committee members of a certain kit car mark have a punch up at their AGM over something really trivial, like number plate sizes or some such, true! A story reporting the day out of many enthusiasts has had to be taken down because of the mad whines of a ‘Communications Officer’ erms its an owners club not ICI. 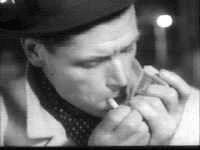 All this does is legitimise the rants of the Strand Cigarette man (who according to my source, doesn’t even smoke!!). Anyway you can name and shame this jobsworth? There’s a Rover 200 club? As a schoolboy I joined a “model” club with a friend, it was split into three groups – Cars, Trains and War Games. The car lads where great. I learnt how to scratch-build slot cars, fitting 6V “grenade” motors for qualifying, foam tyres for traction etc etc. Over time we built our own track from hardboard and staged championships – brilliant. Sadly we where always classed as second-best by the train & wargames guys who looked down on us as if we just played with toys. The basic fact of any club or society is that they are overrun by retired local goverment workers who never achieved much in the outside world. They attach labels to themselves such as “coomunications officer”, “vice-president ” and “chairman” in a vain attempt to achieve the status and recognition in society that they craved in the workplace. Hobbies and Interests across the country are dominated by these “capt Mainwaring” types often spoiling the enjoyment and sullying the reputation of us “ordinary” folk who have to hide our involvement in such activities through the embarrassment of association. Excellent statement, will use this in the future! I hate it when people stick onto Abingdon cars: the wrong wheels; the wrong steering wheel; the wrong seat convers and the wrong paint. Why don’t they just buy a Capri? Very funny. I laughed out loud at several points. Well done. Pretty true…I wasn`t involved first-hand but remember some disaffected Citroen car club member setting up an “alternative” club website as a sort of steely, determined revenge for some real or imagined slight by the official club…..a sort of Martin Luther or Trotsky figure. Possibly. Why am I finding scary resemblances to myself in this artice? Are you Mr Meeker then Rhyds? Both the blog post itself and the comments are a scarily accurate facsimile of the world of organised pastimes as I know it. I accidently started a fight in an Italian car owners club when I suggested that the new Lancias on sale in the UK as Chryslers should be counted as Italian cars.